As the Cosmeticium Family, while giving world-class healthcare services, we aim to provide medical diagnosis and treatment options to our patients at the highest level made possible by technology; making use of our professional and scientific staff as well as our modern equipment and infrastructure. We are a modern healthcare organization that offers high quality services with a broad academic team focused on patient and loved ones satisfaction. We make it our primary duty to offer our public services at international standards at all stages of diagnosis and treatment. Every member of our organization uses their experience for early and accurate diagnosis and treatment with a sense of mission and respect for ethical values. Cosmeticium works within the agreed-upon budget. Cosmeticium monitors customer satisfaction during the project. Cosmeticium assesses all customer requirements and clarifies any contradictions. Really friendly and honest profesionels, they try to do the best for you and achieve the wanted result. Very open to your idea, great service from the driver who will pick you up at the airport till the doctor and the staff i’m really happy that i chose Dr. Caglar as my doctor. Great experience with Cosmeticium. Was worry for the surgery because of first time. All gone perfect. I was carried by dr. Chaglar. Before coming had a video call with him and clear all the issues. I had my hair transplant on September 14th, 2018, DHI treatment 2600 grafts. The hair transplant was done with doctors Turan a very experienced surgent. The consultant and post operation care and follow ups was made with Dr Çağlar a very nice skilled Dr as well. Hair transplant is an important operation and Cosmeticum made it very easy for me with their professionalism and know how. Thank you guys for everything. You won’t go wrong if you chose this clinic quality and price are fantastic. 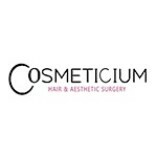 I had my HT with cosmeticum last Saturday and I have to say i was blessed the come out of the operation I am still healing stage they contact me everyday to check how I am doing , DR Çağlar and his team are amazing they know what they are doing. case manager Mr Eyup is brilliant person , he made my life in Turkey very easy before and after . I can't wait to see final result . My friends will have operation with them on Saturday. Top company with professional job their services is on another level . recommend highly. I had my hair transplant done on the 15th of September. I traveled from london and the service was amazing didn’t had any problems with the transport dr and nurses made me feel really comfortable. The only thing which was painful was the anaesthetic but after that I didn’t feel anything. I recommend it to everyone who’s looking forward to do hair transplant best clinic and service ever. I recommend using Cosmeticium to anyone looking for a hair transplant. I had my transplant on the 6th of Ocak 2018. I travelled from England. Cosmeticium arranged all the transfers, hotel. Kept in touch the whole time while I was in Turkey, updating me of the next step. Doctors and nurses were very helpful and caring. Operation took around 7-8 hours. The only thing that hurt was the local anaesthetic but that wasn't that bad. I was given a breakfast before the operation and had lunch halfway through the operation. I could use the toilet when ever I wanted to, have a drink or even sleep. Had a check up the day later, removed the bandages and advised on how to take care of my new hair. Great experience and would recommend to everybody. Excellent, professional service! "I personally do recommend this clink to everyone with hair problem." The experience was very good, everything went well starting with meeting the Doctor to collect all feedback, review and process to after surgery. I personally do recommend this clink to everyone with hair problem. "This is the best decision I ever took in my life." Dr. ARMAGAN team is very professional and the procedure was done with high level of care. Before my travel to Turkey from Canada, I was in touch with Gizem and I was able to get every information needed to help make the decision to move forward with the procedure. I am absolutely happy and satisfied with the results. This is the best decision I ever took in my life. Love the look and lots of compliments!!! The reason why I chose this clinic is because I knew several people that had 100% successful operations. When I visited the clinic, had an excellent experience, staff was very professional, clinic very clean. 10/10 for everything....Superb!" Once there we were greeted by one of Cosmeticium transfers. I was first up for my consultation with Dr Armagan, after answering a few questions Dr Armagan drew the hairline on and after my approval I was sent upstairs. PRP and head was shaved in preparation for the procedure. The procedure itself was't painful but at times quite uncomfortable. After 7 hours since arriving and 3300 grafts later it was all over. I was taken back to the hotel to recover and with my body clock still in Australian time I went straight to bed and slept for most of the night. Ive done the hair transplant last month and results still didnt appear but my treatment went very well and 4000 grafts were transplanted successfully by Cosmeticium. Cosmeticium team is very professional and the procedure was done with high level of care. Before my travel to Turkey from Canada, I was in touch with Gizem and I was able to get every information needed to help make the decision to move forward with the procedure. I am absolutely happy and satisfied with the results. This is the best decision I ever took in my life. Love the look and lots of compliments!!! The reason why I chose this clinic is because I knew several people that had 100% successful operations. When I visited the clinic, had an excellent experience, staff was very professional, clinic very clean. 10/10 for everything....Superb!" I wanted to say thank you for your great service and Profession. I had my Opration 4 months ago and the result is great. I had 3000 graft transplant. The proces took about 6 hours, and also with breaktime. Dr. Armagan and his team did an excellent job. The operation wasn't painfull. At the next day i was brought to the follow-up. About hotel: The Hotel was very clean and they are very frendly polite staff. The hospital is not far from the hotel. I also recomended them to some of my friends and they are also having there hairtranplantion done by Dr. Armagan. I wil like recomend the Cosmeticium company to others, becasue they are qualify and profession in what they do. I am so pleased with the service I got at Cosmeticium I didn't know what to expect for the price, but the entire experience was impeccable. The team was very professional and did a great job, the clinic is new and clean. I got my hairline done and really could not be more pleased with my choice. Thanks Emre and Dr. Kurtoglu, you were great! I have traveled to cosmeticium for hairtransplant in November 2017. I contacted Gizem on whatsapp for consultation and decided to travel to Istanbul with my family.We were greeted at the airport by their driver, they took us to a good hotel - rooms were clean, good breakfast, staff speaks good English and even some German. My hairtransplant was next day, I walked to the clinic with Gizem, it is only 5 minutes away. Very modern, nice rezeption and clean. My transplant took 7 hours. The team was great, they were working all the time. Dr. Armagan was there all the time with his team. Dr. Armagan speaks very good German so he explained everything to me. I want to say the team is very very friendly, I think they are very good people. I am very happy with my hairtransplant, everything looks great, very good job. In Switzerland I would pay much more for this procedure and service. Thank you and good luck! I am very satisfied with my experience at the cosmeticium in Istanbul. From the very start, they were very professional in their communication and clearly explained to me the entire process. I was somewhat apprehensive about travelling abroad for a hair transplant, however I now believe I have made the right choice. I paid for my own flight and was greeted by a driver at the Istanbul airport. The car took me to a solid 4-star hotel, where I was checked in to a comfortable room. The following day, Dr. Armagan met me at the clinic, which I must add is just a few minutes walk from the hotel. We talked about the results I expect from the transplant and the areas of my scalp, which I was concerned about. During this time, Dr. Armagan marked the new outline of my hairline and the staff proceeded to take me to the operating room. The transplant is surprisingly pain-free, with the exception of the initial injections. The entire process took about 8 hours and Dr. Armagan personally transplanted 3960 grafts. I was shown the preferred sleeping position and taken back to the hotel. I must admit the first night was a bit uncomfortable. The next day Dr. Armagan visited me around lunchtime, examined my head, showed me how to wash my head without damaging the grafts and gave me a set with a shampoo, lotion and a hat that I was instructed to wear during my flight back home. I flew out the same evening. I am very impressed with the organization of my visit and thankful for the personal attention and care. I shall upload a few photos whenever my results are visible. I had my operation by the Cosmeticium Clinic. My doctor was Dr. Caglar Armagan and his hair transplant clinic in Istanbul on I am very happy with the service, with the transfers, hotel, clinic and all of the stadd was very kind and friendly . They answered all of my questions and explained me what I have to do after the operation. I am very pleased with the operation and with the result. I would like to thank the hair transplant team for everthing. Thanks a lot. I have been very well greeted in Istanbul. The transfer was fast and all was super . The Specialist was very friendly, helpful and he gave me all the instructions before the operation. The treatment has gone very well. I have to admit that I had expected a more painfull treatment, But it was not. The hotel and the room were clean , comfortable and the staff was friendly and helpful too. Thanks for all team. I had FUE hair transplant done at Cosmeticium in Istanbul.